“The Human Genome Sequencing Center (HGSC) has worked with TalaTek since March of 2012, when they helped us successfully achieve a critical compliance milestone on a very tight timetable. “Since then, TalaTek has helped us navigate the challenges of FISMA compliance while always keeping our security status in mind and costs down. TalaTek’s subject matter experts helped our team effectively prioritize efforts to meet our security and compliance needs. They have been flexible and responsive, tailoring solutions to our unique concerns. Why you’ll want to work with us. 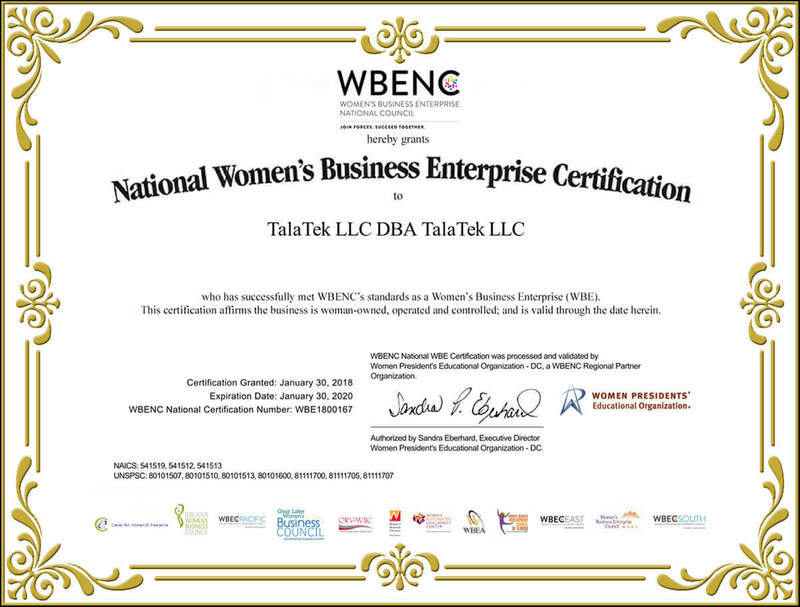 TalaTek, LLC, is a woman-owned business providing specialized services in risk management, security and compliance. Baan Alsinawi’s total IT experience was the driver behind her establishing TalaTek as a state-of-the-art security and compliance firm that fills the gaps left by standard solutions providers. All of TalaTek’s staff are ISC2 members and many are also CISSP, CCSK or ITIL-certified. Each member of TalaTek is a senior IT professional, and some have more than two decades of information technology experience, including having managed networks, implemented software solutions and directed security operations. TalaTek, LLC provides unparalleled IT Security & Risk Management based on NIST, ITIL and ISO27001. We specialize in compliance solutions and implementing NIST standards to meet FISMA, HIPAA, privacy standards and other regulations for our customers. Talk to us. We’re problem solvers. TalaTek has grown thanks to the firm’s unique combination of methodology and services. Since opening its doors, TalaTek has incorporated process management, such as ITIL, along with the tools required to support a secure and user-friendly virtual business environment. 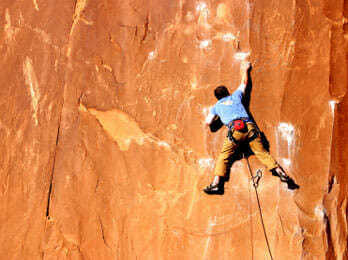 Corporate clients rely on TalaTek’s targeted approach to IT security, loss prevention and disaster recovery. With a track record of success at federal agencies, government clients turn to TalaTek’s expertise in risk management, governance and compliance. TalaTek is a full-service risk management firm offering automated solutions for managing the Federal Information Security ACT (FISMA) process, real-time reports, dashboard-like security consoles and other customized workflow solutions. TalaTek’s team comes with the highest industry certifications. We’re trusted partners and an extension of your IT Security & Compliance team. We deliver solutions that make good IT sense and good business sense. Our expertise is delivered via our Enterprise Compliance Management Solution (ECMS) methodology that makes our team scalable and ensures the quality of our service delivery is consistent and repeatable. Outlines our technologies, services, markets and more.